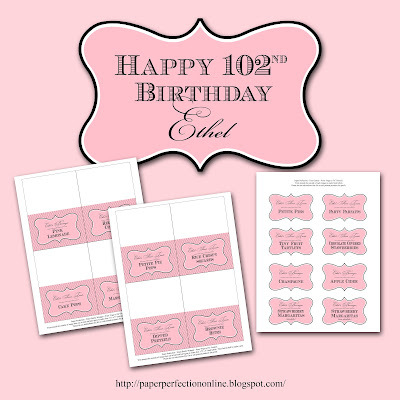 Last month I posted an invite I made for Ethel who is turning 102 years old. I can only imagine the amazing things she has seen and done in the 102 years that she has lived and I'm so honored to be a part of her upcoming celebration. Here are some food labels and sign that I made for her event. 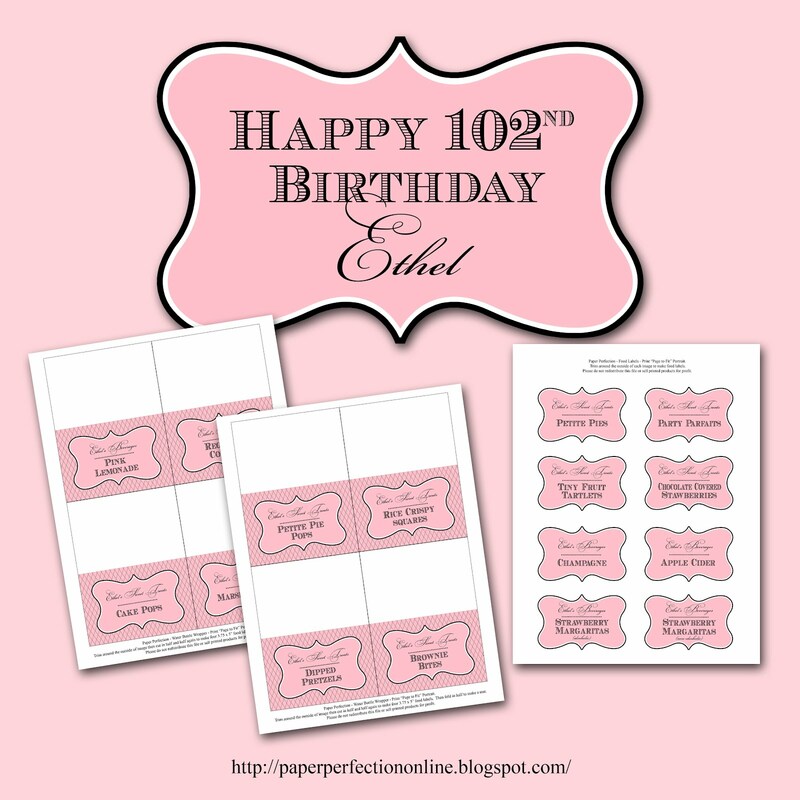 If you have a party and need custom printables like food labels for a dessert bar, food or candy buffet contact Paper Perfection at jtanddolly@yahoo.com for pricing and details.